I have been so excited for this particular DIY for SO LONG. Now that I’ve finally done it, I think it’s turned out well, but not how I expected. This is yet another installment of, “My DIY didn’t go as planned, had to scrap and start again.” I think these favors are awesome, so there was no way I was going to give up. I am not going to give you the “pretty” version, because I think you should see all of the horror as it unfolds. Alright, I’m exaggerating, but when something I’ve been so looking forward to doing doesn’t turn out, it makes me sad. I will say, I do like the way I changed it up, so in the end, everything went fine. Alrighty then, let us begin! First thing’s first, choose your word! 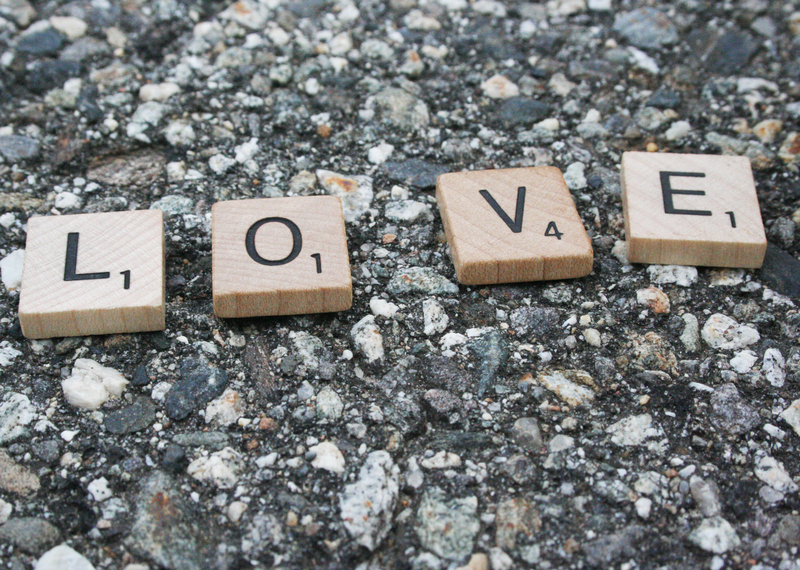 Of course “Love” is the obvious pick, but as long as it is 5 letters or less, you can do whatever you want! Now we are at the part where things didn’t go so well…but I didn’t know it yet. 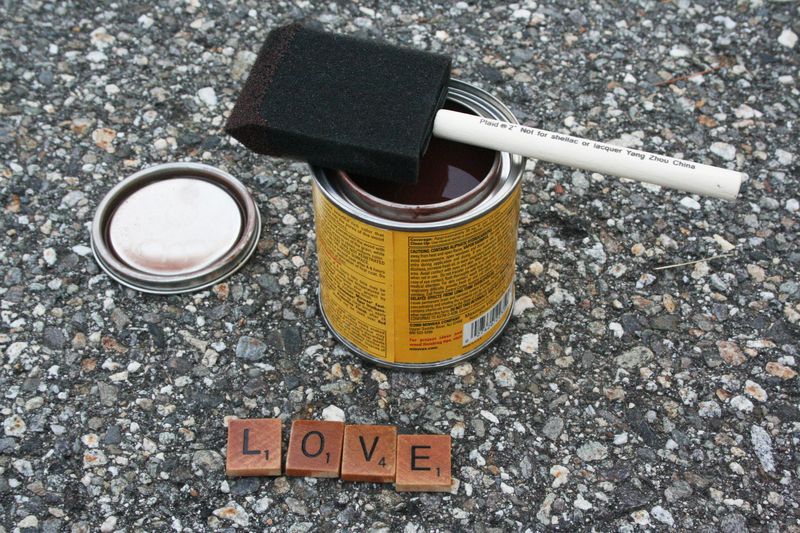 This is the part where we stain the letters. The most effective way I’ve seen anyone stain is to paint the stain on, let it sit for a bit and then wipe it off so the wood soaks it up. So here I go to stain the letters. Once the letters have had the stain on them for a bit, wipe off any excess stain. 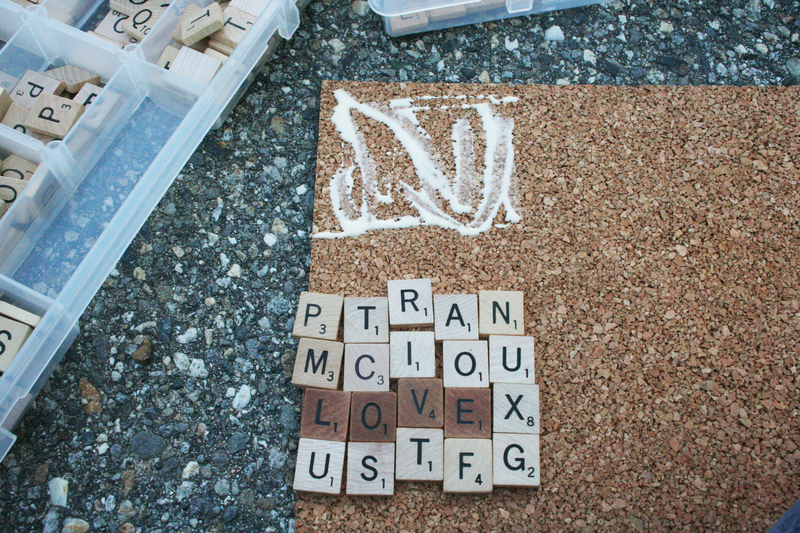 Here is where the trouble started for me because the letters wouldn’t take to the stain. The letters in the picture above are before the wiping off of the excess, and once that was done, they barely looked stained. Since they still were darker than they had originally been, I pressed forward not thinking much of it. 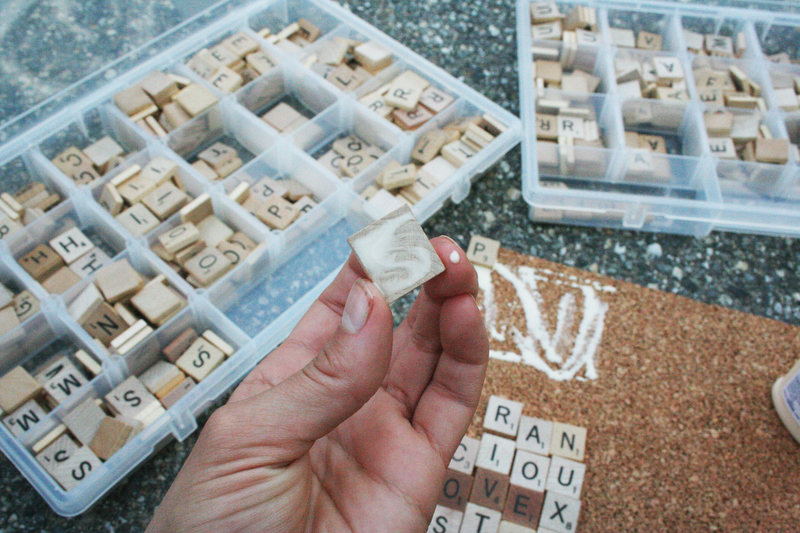 Next, grab your wood glue and apply it to the cork in the area where you want to place your coaster. 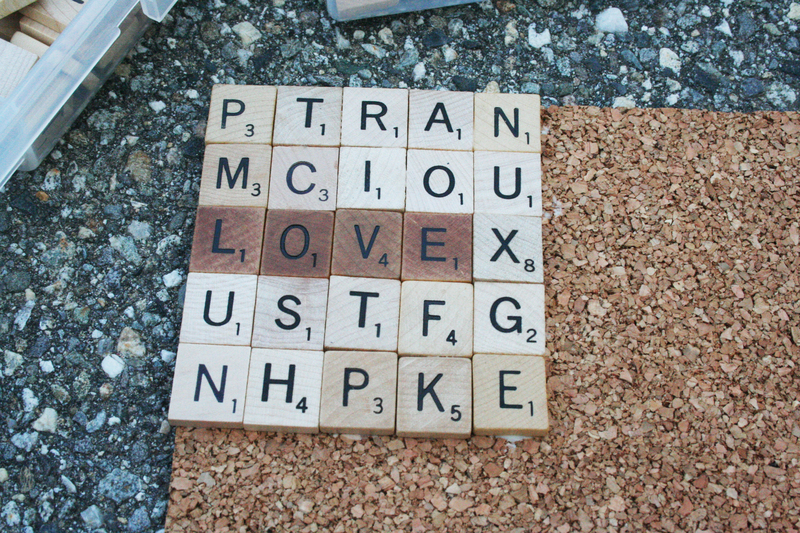 Begin to place your letters on the coaster, you can add extra glue to each letter to ensure it sticks! Once that is done, all you do is wait for your glue to set. It doesn’t really even have to be fully dry for you to move on to the next step! 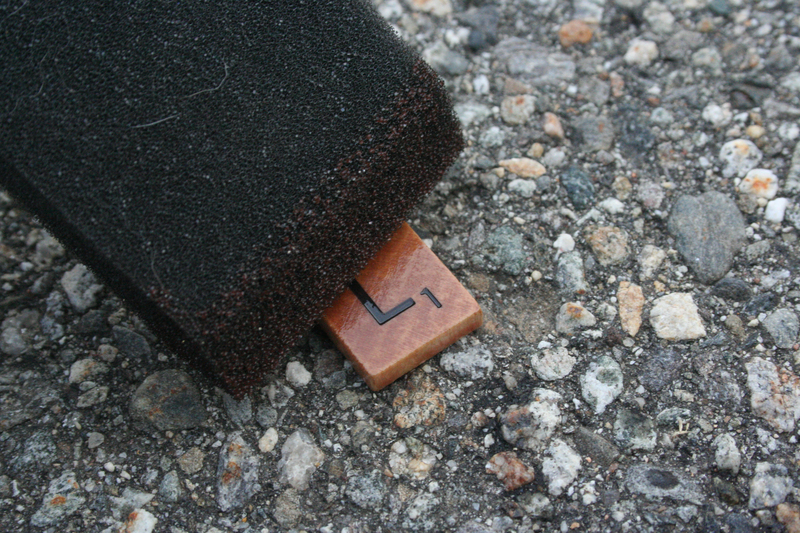 Once everything is set, you can then apply the Polyurethane. Now here in lies the problem. The Polyurethane actually stains the un-stained letters and the stained letters are unaffected, thus making them all look about the same. I was so sad, I didn’t even take a picture until later. I spent the day pondering how to make this work and I think I finally came up with a solution! 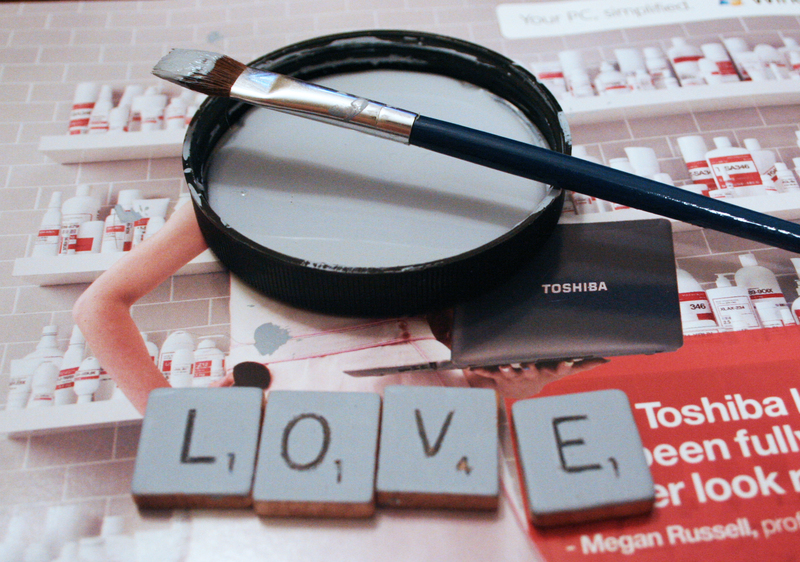 I painted the letters and used a toothpick to get out the excess paint from the grooves. I think I will also end up going over the letters with a permanent black marker to make them stand out even more. 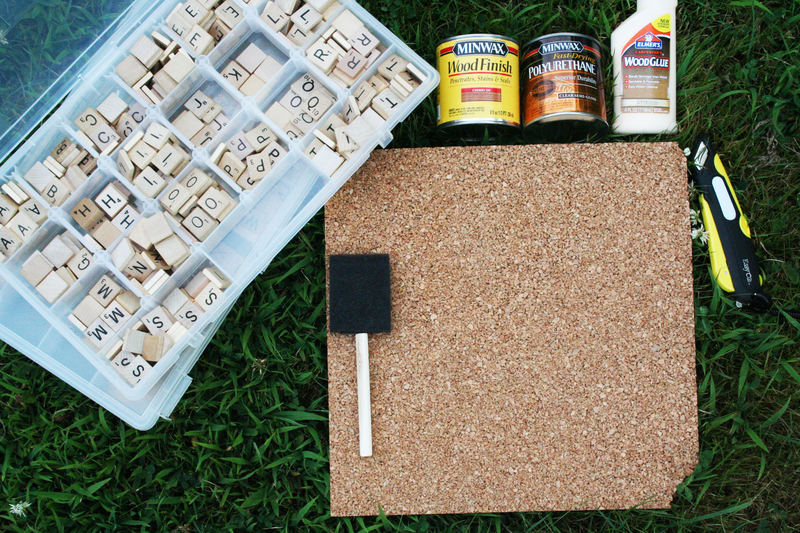 The process is all the same, except instead of staining the letters, just paint them the color of your choosing. Since our colors are blue and yellow, I will probably do them in both colors! Here is a picture of both the coasters, I think the one that has the paint really pops, and you can see how the stained letters don’t really pop because of the letters not taking the stain. I know some blogs like to be all polished and pretty with what they expose in their DIY projects, but trust me, none of it is perfection, and no one gets it right the first time. I wanted to make sure you guys didn’t buy a whole can of stain like I did, only to find out it doesn’t work! This is STILL my favorite DIY that I am doing for the wedding. I think everyone will be happy to have a cool coaster to take home. I need to make this too. Simple and looks amazing! Very cool! 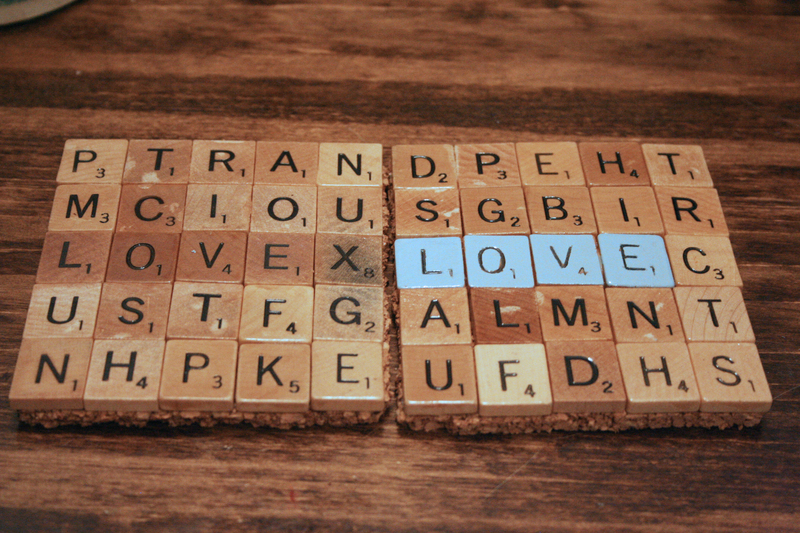 I will be scouring thrift shops for scrabble games! Thrift stores are a great idea! I will say that in order to make them as favors for everyone I will need about 1500 tiles! But they are so cool, they’re worth it! I am definately making these for myself. Maybe favors if I can find enough! This is so cute! Your craftiness never ceases to amaze me! Here is a thought – why worry about the words standing out from the rest? 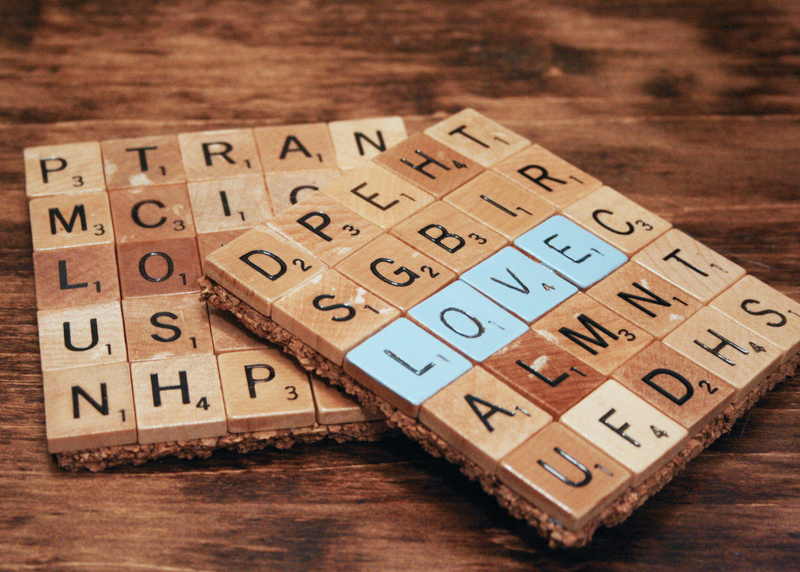 It seems to me that making sure you only have one four or five letter word on each one would accomplish what you want accomplished and would still make an interesting gift; it would just be that the word would have to be “found.” Not that I think it would be hard to find the word among a 5 X 5 array though. I wonder if shoe polish might work instead of stain?